12 teams are down and there are 4 more teams left to go. All 4 teams have their own strengths and weaknesses, but they all have one goal in mind. That is to be one of nine teams in the end holding a state championship trophy in the Mercedes-Benz Superdome with the Queen smash hit “We Are the Champions” playing in the background. For Louisiana football fans, this is the most wonderful time of the year. It is our version of “March Madness”. This year, we got you covered as for the next couple of weeks, we will go through all of the matchups from 1A all the way to 5A each and every week leading up to the All-State Sugar Bowl/LHSAA Prep Classic from December 7th-9th. 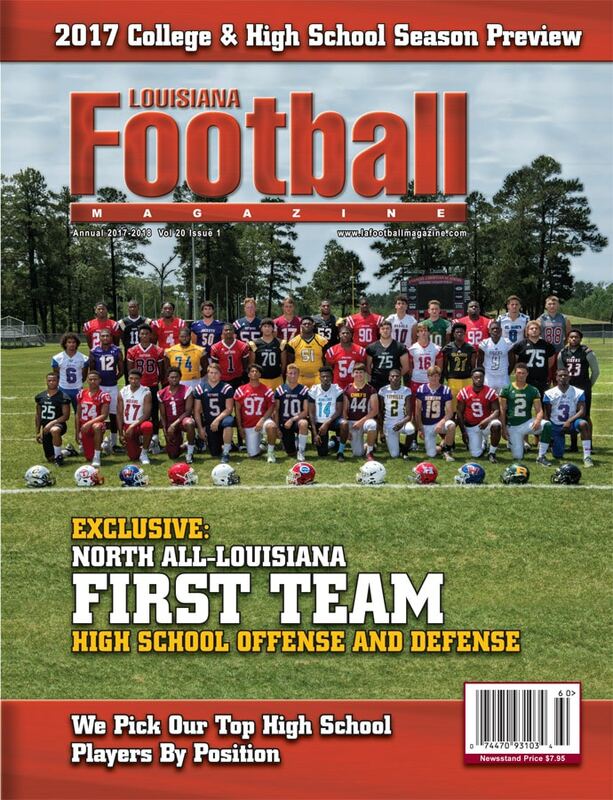 Louisiana Football Magazine’s expert Lee Brecheen has seen all of these teams play and gives his insight on which teams will survive and continue their march to the Superdome. Today, we preview the Division IV semifinal matchups. Game Preview: First year Vermilion Catholic Head Coach Brady Thomas has helped put the Eagles firmly on the map this season with a number one seed in the Division IV playoffs and are one of the favorites in the Division IV bracket. It is incredible that not only the Eagles have clinched the number one seed with a new head coach, but they also did it while losing their star senior quarterback J.T. Lege for four weeks. Now, Lege is back fully healthy and he has a deep group of wide receivers that he can evenly distribute the football to. This is a team that can throw the football, make plays in the passing game, and could put many points on the board. 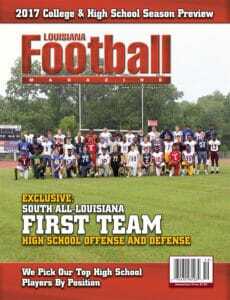 They showed it in their first round matchup defeating St. Martinville 40-7. In the second round, the Eagles had a tough matchup against the #9 seed Ouachita Christian Eagles. 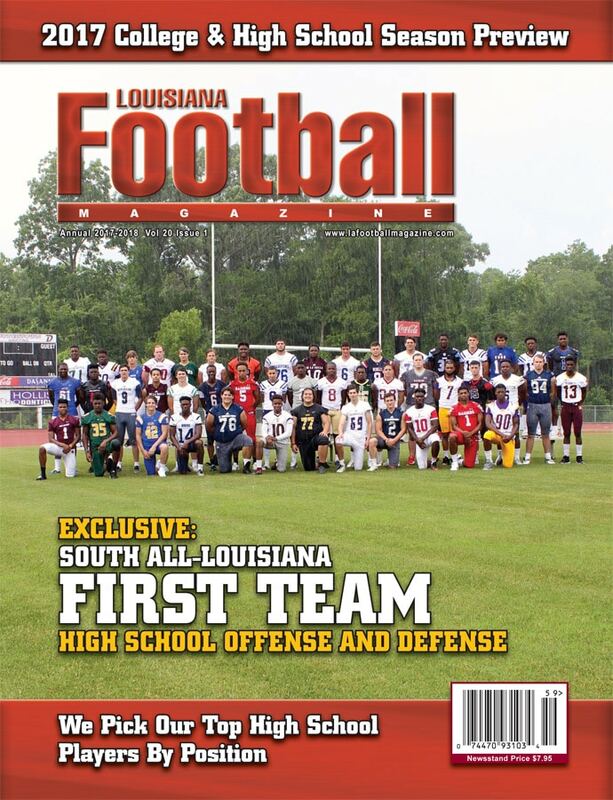 Steven Fitzhugh‘s squad may only be the #9 seed, but this was a squad that was used to going to the Superdome and competing for state championships. The Vermilion Catholic Eagles passed the test squeaking by the Ouachita Christian Eagles 28-21. The key player, for Vermilion Catholic, was none other than J.T. Lege, who completed 25 for 37 passes throwing for 336 yards and four touchdowns while completing the football to five receivers. He also had this type of a passing game with a lack of a running game. Ouachita Christian was in the game thanks to their young quarterback Will Fitzhugh, who ran for two touchdowns and threw for one, but the Vermilion Catholic Eagles’ passing game was too much for Ouachita Christian to handle. Vermilion Catholic gets to advance to the next round and will face a very familiar opponent in Lafayette Christian for a chance to go to the Superdome. 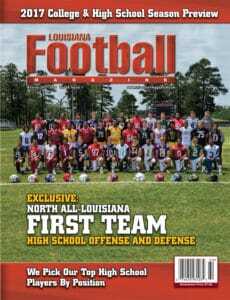 The Lafayette Christian Knights were on a tear at the beginning of the season led by former LSU linebacker Trev Faulk as their head coach as the Knights outscored their first seven opponents 349-39. However, in the district championship matchup against Vermilion Catholic, star quarterback Zachary Clement suffered a season ending injury in that game which helped Vermilion Catholic clinch the division and the number one seed. Even though the Knights lost their star playmaking quarterback, the Knights still have a lot of weapons at their arsenal including RB Trey Breaux, who has just returned from an injury, and Logan Gabriel, who is a converted linebacker that ran for over 100 yards and three touchdowns against the Lions. That was proven in the team’s 34-12 victory over a very good 1A program in Covenant Christian. That victory was also a big one for the new program as it was the team’s first ever postseason victory. In the team’s second round matchup, they had to play a very hot Catholic Point Coupee football team that won their district championship as well as nine straight wins. The Knights shut down a very potent Hornets attack that was averaging well over 40 points per game to only ten points as well as four turnovers including a fumble recovered for a touchdown by Logan Gabriel. The Knights also made an impact on special teams when Sage Ryan returned a kickoff 90 yards for a touchdown. Those two key areas helped the Knights get the 21-10 victory over a Catholic Pointe Coupee that was peaking at the right time. It was a huge win for the Knights and now, the team gets a chance to get some revenge against the team that defeated them 10-9 earlier in the season in order to get the district championship as well as the #1 seed. The Knights did lose their star quarterback in that game and the team has finally learned how to play without Clement after the injury. You know they would love to knock off Vermilion Catholic and ruin their chances at a state championship. This will be a very intense game between two very familiar opponents that really want to beat each other especially for a chance to go to the Superdome. Game Preview: The Ascension Catholic Bulldogs, under the direction of Drey Trosclair, have one of their most talented teams over the past 30 years and that is saying a lot. The Bulldogs have a great one-two punch at running back between Jamar Barber and Jai Williams, who both combine for 2,080 yards rushing and 24 touchdowns. In the Bulldogs’ opening playoff game matchup against the Houma Christian Warriors, Ascension Catholic was able to do what they do best in their game by utilizing the talents of Barber and Williams to run behind that big offensive line. Barber ran for 178 yards and two touchdowns while Germaine “The Juice” Williams’ (LSU) son ran for 103 yards and two more touchdowns. The final score was a lopsided one as the Bulldogs defeated the Warriors 63-7. In the second round playoff matchup against St. Edmund, the Blue Jays did a great job of containing the Bulldog running game only giving up 21 points to a team that has been scoring way over 40 points in every game this season except one. Still, both running backs had a great game running for a combined 181 yards and all three touchdowns. The Blue Jays could not move the ball offensively without their quarterback Brad Miller, who did not play against the Bulldogs due to an injury. The Bulldogs took advantage of the injuries and advanced to the next round with a 21-0 win over St. Edmunds. The Bulldogs will try to go back to the Superdome for the first time since 1992 as they will face one of the hottest football teams in the playoffs in the St. Mary’s Tigers. The St. Mary’s Tigers, led by Corwyn Aldredge, is a team that has made state championship runs in the past including a Division IV state championship appearance in 2015. The Tigers also have one of the best quarterbacks in the entire state in Northwestern State commit Aaron Howell at the helm. The team also has many other seniors that are very experienced and have played in big games such as WR/FS Slade Bienvenu, LB Wes Carnahan, WR Bailey Shelton, and many other veteran starters that make an impact on both sides of the football. This team wanted to show that they were really misseeded and should have been ranked higher with two wins over higher seed opponents. It all started in the first round as the Tigers dominated a very good Opelousas Catholic team 33-3 and then, the Tigers defeated the #2 seed Cedar Creek Cougars 40-34 in a double overtime classic in the second round. It was a back and forth game that featured two of the best quarterbacks in North Louisiana in Cedar Creek’s Jace Moss and St. Mary’s Aaron Howell. The matchup did not disappoint as both teams kept on trading touchdowns. After both teams scored touchdowns in the first overtime, the Cougars had a chance to take the lead and put pressure on the Tigers as Moss found a wide open receiver in the end zone, but the pass was dropped. This allowed the Tigers to punch the ball in the end zone to win the football game and win one of the best games throughout this whole playoffs. The Tigers survive and pulled off the upset. They will have another tough challenge playing against one of the most talented Ascension Catholic teams in years past for a chance to go to the Superdome for the second time in three years. Jace’s Final Thoughts: Well, two teams have a chance to make their dreams come true and that is having a chance to play in the Superdome. These are two great semi-final matchups. On one side of the bracket, you have two teams that are district rivals and will play again for a chance to go to the Superdome in Lafayette Christian-Vermilion Catholic. 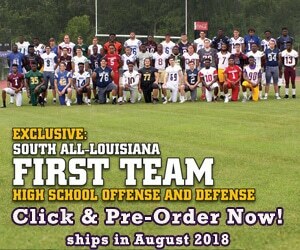 On the other side, you have two offenses that are totally different in the way that they want to move the ball in Ascension Catholic, who wants to run the football with their two star tailbacks and their big offensive line and on the other hand, you have a team that has a great quarterback and really good skill position players. Before the playoffs started, I predicted that Lafayette Christian and St. Mary’s would play in the Superdome so I have to stay true to my word as I predict a Lafayette Christian-St. Mary’s matchup for the Division IV state championship game, but it could also go the other way. We will find out this Friday as the Road to the Dome continues!